Hugo’s mamá sends him to the store to buy soap. Of course, Hugo takes the long way there which gets him into loads of trouble and plenty of mud. With all his adventures, he keeps forgetting what he’s supposed to buy at the store. 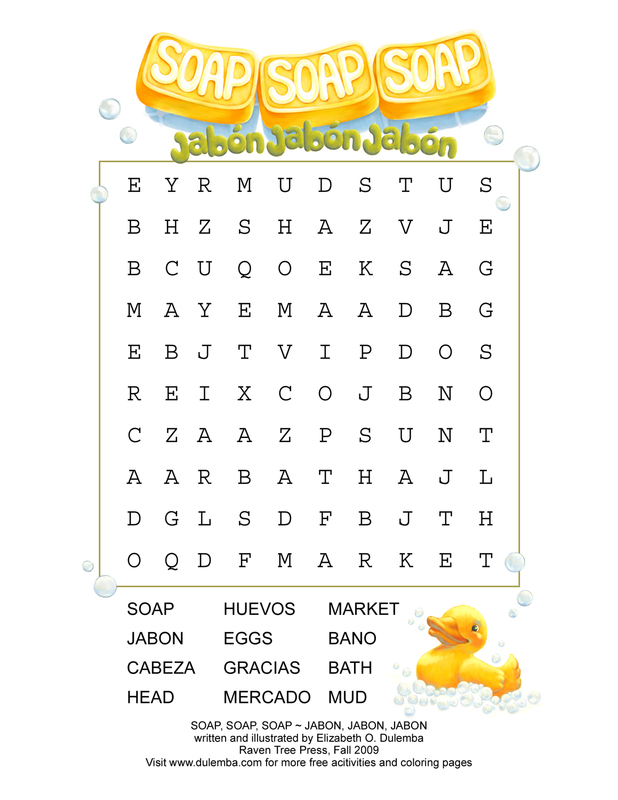 But through each mishap he’s somehow reminded he needs soap, soap, soap ~ jabón, jabón, jabón! Hugo ends up a muddy mess, but he finally prevails. 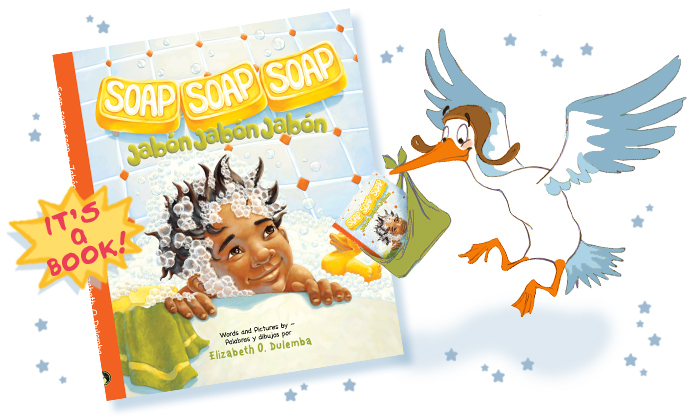 He buys the soap and returns home only to discover that his mamá plans to use the soap on him! 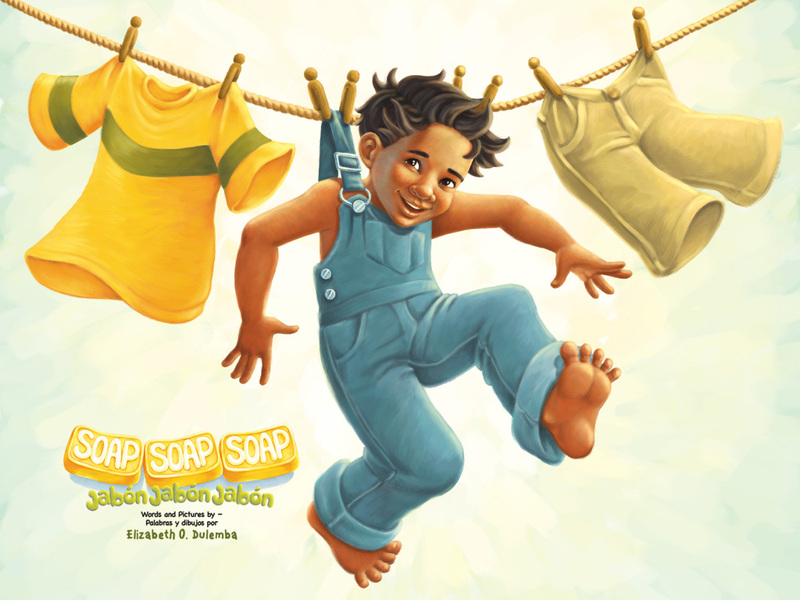 Soap takes the classic Appalachian Jack Tale and gives it a modern twist. 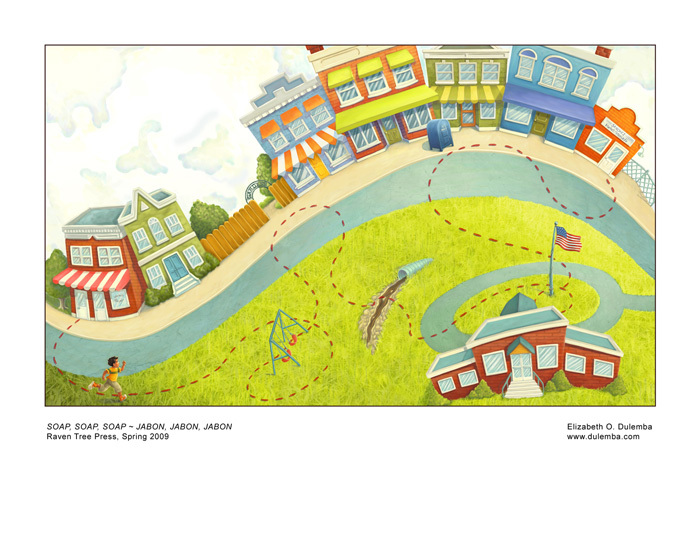 The story now takes place in a small rural town with a sweet little troublemaker named Hugo. 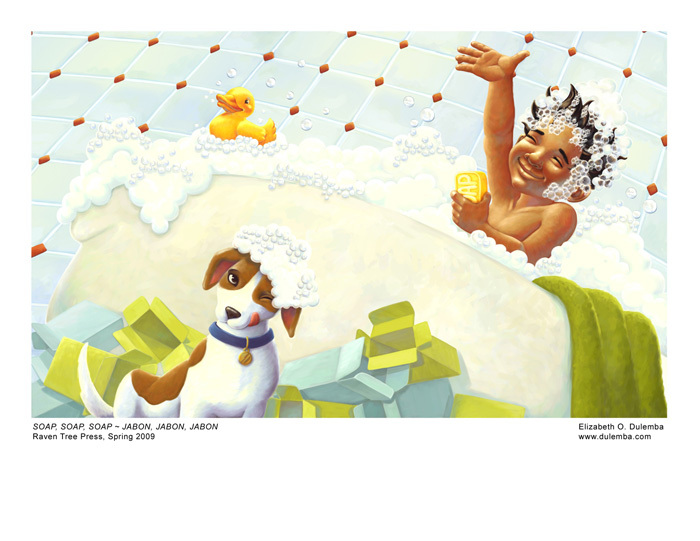 The artwork is drawn with graphite and rendered digitally using bright, happy colors reminiscent of this playful tale. The story is presented in English text with embedded Spanish in rojo. The sprinkling of Spanish easily introduces key words using both story context and illustrations to aid in the fun and learning. 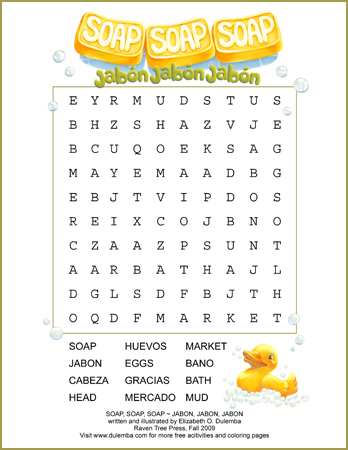 A vocabulary page is also included to jump start learning in either language. Big News! 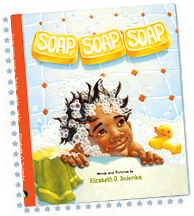 Soap is included on the inaugural 25 Books All Young Georgians Should Read list. Learn more at the Georgia Center for the Book. The longer the solution stands open, the better it will work. Try to make it the day before! • Something to use as a ring - this could be a paperclip bent to shape or even a big ring like a hanger bent to shape! Be sure to leave a little length at one end to bend up for a handle. Pour the solution into a shallow pan and dip the ring into the liquid. Pull out making sure there is a soapy film in the ring. Gently blow through the film or drag the ring through the air. Voila! 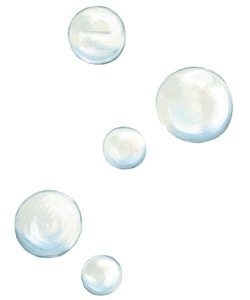 Learn all about bubbles at Bubble Town! Create Your Own Grocery List! 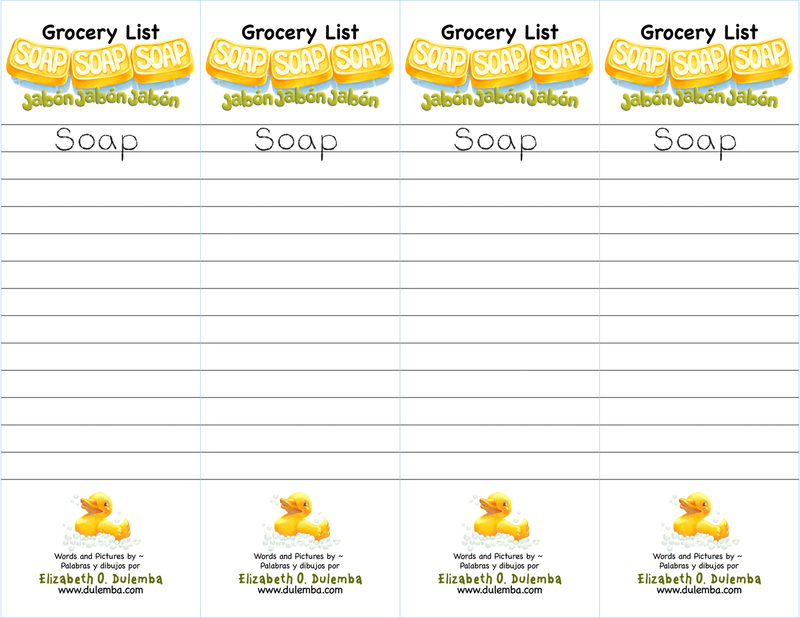 Click the grocery list to print out a page with four lists. Set your printer to horizontal layout and "fit/scale to page." Print then cut the lists out along the blue lines.! 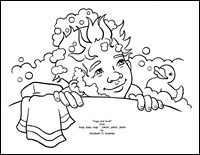 Check out this great activity by Linda Ragsdale. 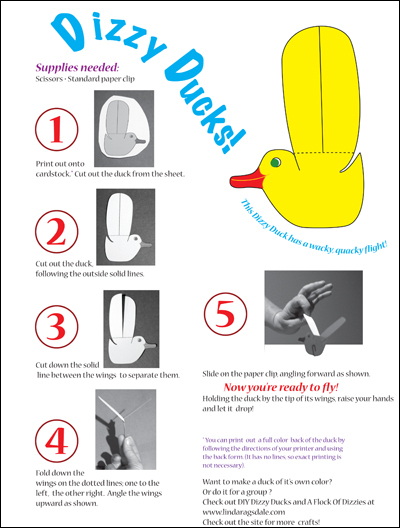 Print the directions to cardstock paper, cut out the yellow duck and make him fly! 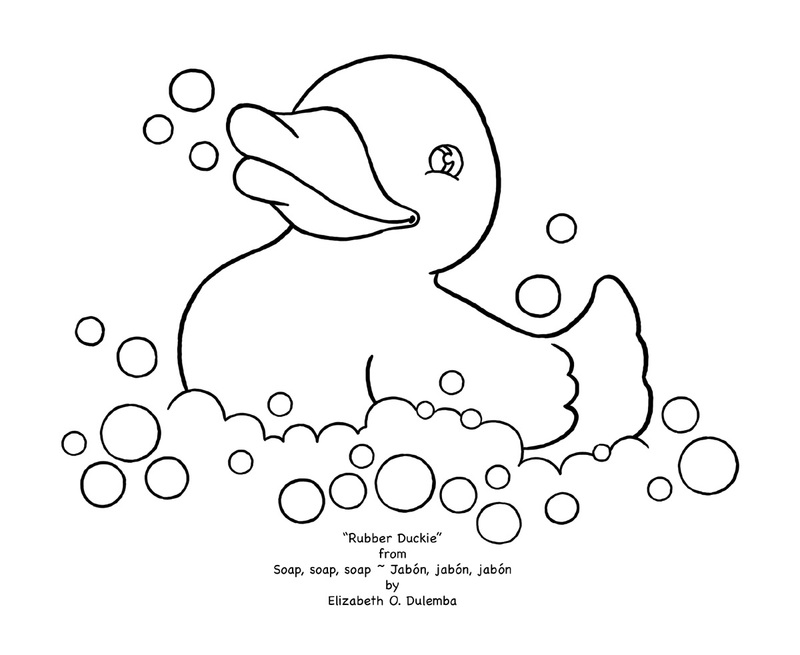 Another fun activity from Linda Ragsdale! 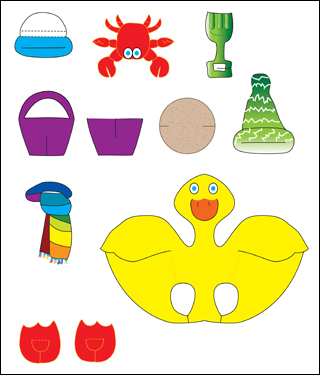 Click to print out a larger version to cardstock - cut everything out, put the duck on your fingers, dress him up, and make him dance! 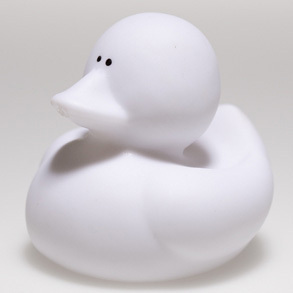 Design Your Own Rubber Duck! 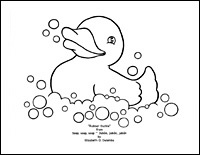 Order blank duckies from Century Novlety to customize with either paint or permanent markers ($5.99 per dozen). Click the image to visit the ordering page. Melt butter and crush cookies. Mix together and put in 9 x 13 wax paper lined or greased pan - FREEZE. Mix next three ingredients and spread on top of above the above mixture and freeze. Once hardened, cut into squares. MICROWAVE: In a 2 quart microwave safe casserole combine sugar, milk and butter. Cook on High for 3-5 minutes or until the mixture boils. Stir in the remaining ingredients and drop by the teaspoonful on wax paper. Refrigerate until firm. STOVETOP: In a heavy saucepan combine the sugar, milk and butter and cook over a medium heat until the mixture boils. Stir in the remaining ingredients and drop by the teaspoonful on wax paper. Refrigerate until firm. 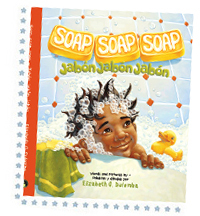 SOAP, SOAP, SOAP ~ JABON, JABON, JABON named one of the "25 Books All Young Georgians Should Read" in 2010 by the Georgia Center for the Book. 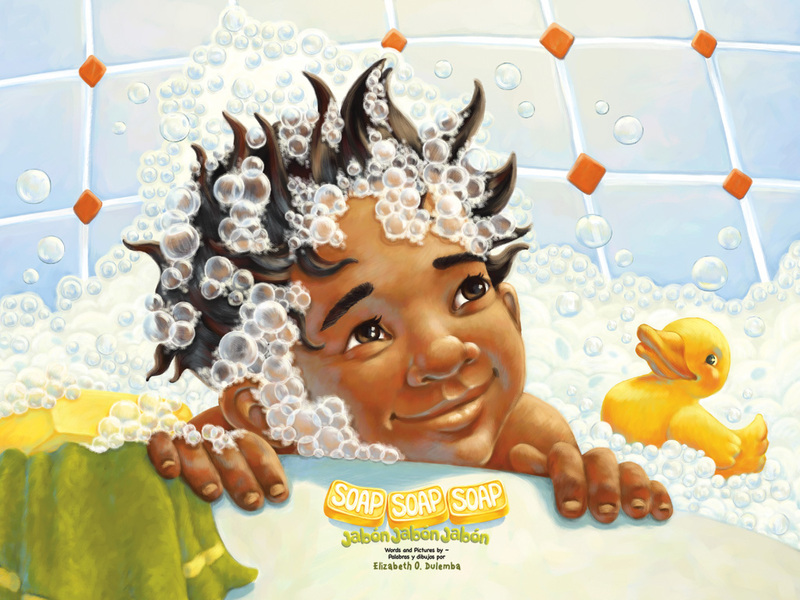 "Dulemba both wrote and illustrated the book, and the accompanying artwork is bright, joyful and expressive. The emotion that is conveyed on each character’s face helps to capture the essence of the text and supplements the story beautifully. "Elizabeth's illustrations are amazing. Her style really makes you feel like you are running right along side Hugo during his adventure. 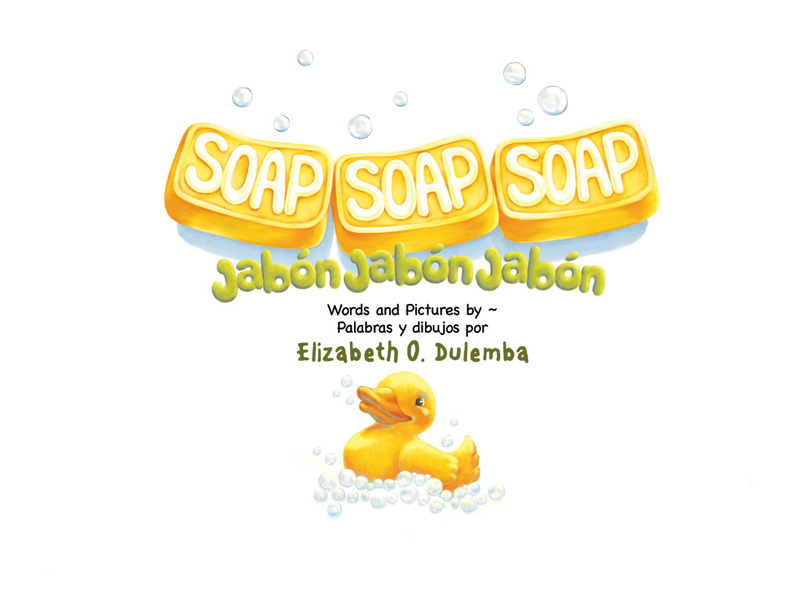 This is Elizabeth's first book that she both wrote the story and did the illustration. She has done a wonderful job weaving a cute story and illustrations together. 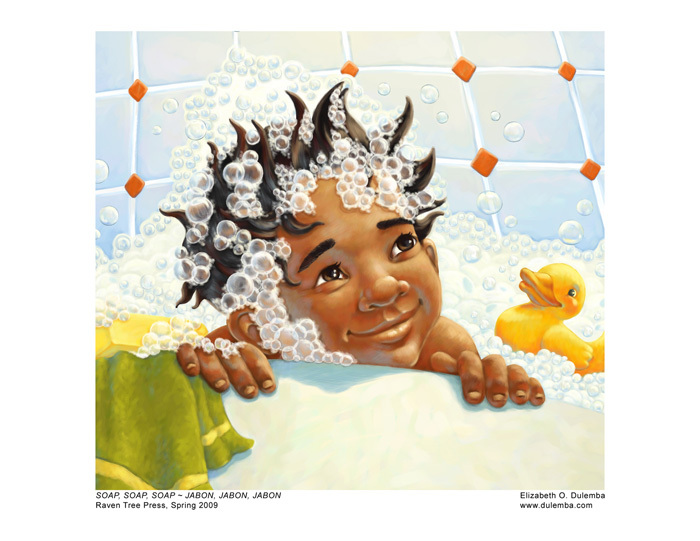 All young children will enjoy this book." "With every page, we heard "Oh, no! Mama, look at Hugo!" She loved tracing Hugo's journey along the dotted line on the pages. She ... wanted to know what happened at the end." 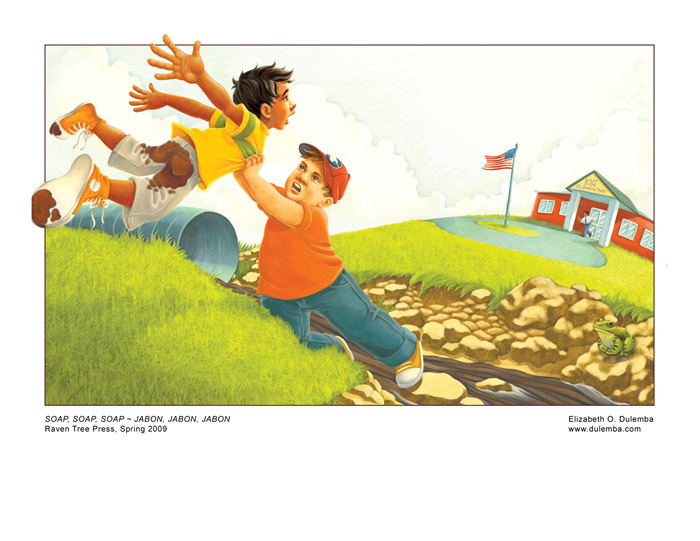 "In my class we have a little inside joke now: Every time I say “Soap, Soap, Soap” they reply, “Jabon, Jabon, Jabon” or I’ll say “Read, Read, Read” and they reply “Leer, Leer, Leer.” Thank you,"
The Art of Diversity at I.N.K. HOME BASE - find activities and links to all blog stops here. 9/22 - LIVE interview at Suzanne Lieurance's Book Bytes for Kids at 3:00pm est! 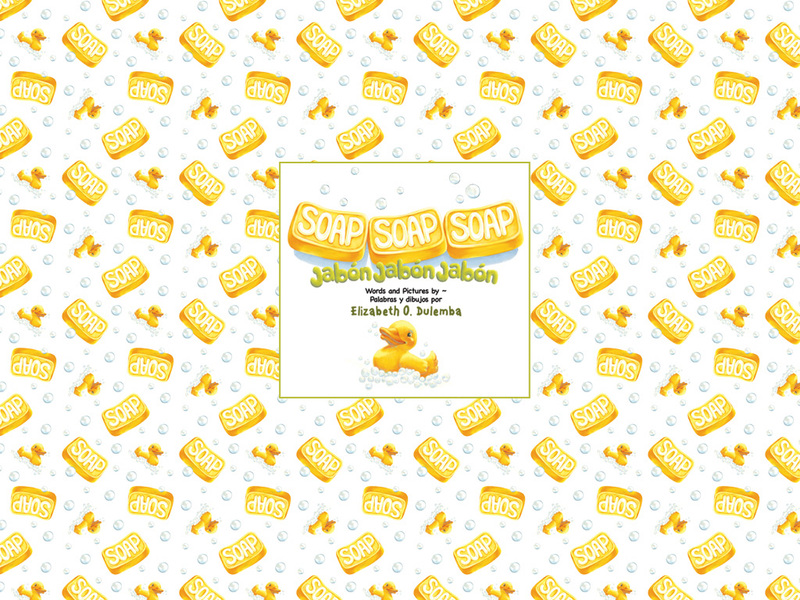 9/25 - OFFICIAL RELEASE DATE FOR SOAP!!! YIP, YIP, YAHOOOOOOO!!!!! 9/26 - Guest at Debbi Ohi's Inkygirl!